Almost all file hosting services have a monthly and/or annual fee, but for the most part, a lot of them also offer a free 2GB of data storage. 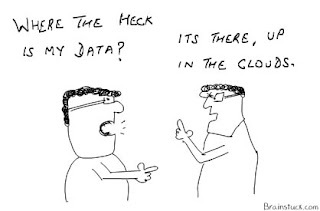 Rates and pricing terms differ for different sizes of data storage, and also host services. 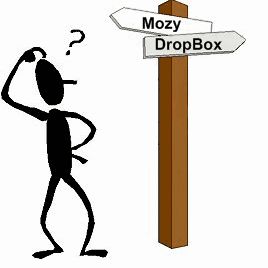 For Dropbox, the pricing terms are: free of charge for 2GB, $9.99/month for 50GB & 100GB costs $19.99/month. Although the main purpose and function for most hosting services is the same, file storage, some services focus on different specifics. 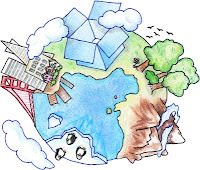 For example, Dropbox focuses on synchronization and sharing. So depending on what you want to get out most from your cloud computing system, be sure to look at the types of features that the hosting service offers. I have Dropbox installed on both my Mac and iphone, and it's lived up to the value of my old timer flash drive, which can finally retire now, me thinks. I personally prefer Dropbox for the functionality of being able to share any folder, file, picture with whomever regardless of the type of operating system they have. Thumbs up. Go now in peace, to store, sync and share files online, across computers, and from anywhere in the world.. so long as you have an internet connection.